Our primary mission is to meet demands and requirements for integrated logistical services to full satisfaction of our customers who are guaranteed reliability,speed,safety and competitive prices. ....is the largest branch of Intereuropa Logistics Services Ltd.
Over 200 employees, 12 organizational units: Office in Kutina, Karlovac, Border Offices Bregana and Macelj, Airfreight Department at Zagreb Airport, Division for Customs brokerage, Forwarding, Groupage Traffic , Express Delivery Service, Warehouse Operations & Management and Road Transports. 29.760 sq.m storage facilities for general cargo, bonded and out of bond. Branch office Varazdin, Office Cakovec, Border offices Dubrava Krizovljanska and Gorican, Offices Koprivnica, Ludbreg and Virovitica, Subsidiary Roar Transport. 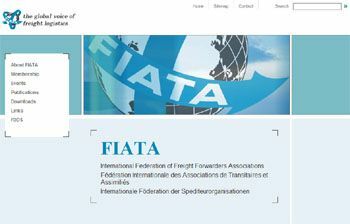 FIATA We are one of the establishers of the Croatian International Freight Forwarders Association, founded with the Croatian Chamber of Commerce in 1992 and in 1993, as the national association, it became a regular member of FIATA (International Federation of Freight Forwarders Associations), headquartered in Zurich. Such a membership enables us constant increase in professional and organizational promotion and, sharing experiences with international forwarders worldwide, own business improvement and IATA. Membership in largest worlds' Independent Forwarders Network.